AVI-SPL, video communications provider, is completing the process to become accredited to sell the SMART Room System for Microsoft Lync in the UK. The Lync Room Systems are turnkey hardware and software systems based on a reference architecture designed by Microsoft to bring the Lync desktop experience into larger conference rooms. SMART is one of four authorized to produce their version of a Microsoft Lync meeting room designed to simplify the collaboration experience for both virtual and face-to-face participants by providing seamless voice, video, and data collaboration. AVI-SPL is a provider of video communications solutions from desktop to the boardroom and has established a team of experts within its UC practice with a focus on the design, implementation, and support of Microsoft Lync UC solutions. 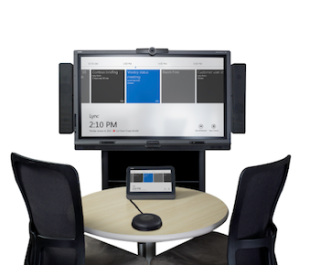 To schedule a demo of the SMART Room System for Microsoft Lync, email LyncSales@avispl.co.uk.